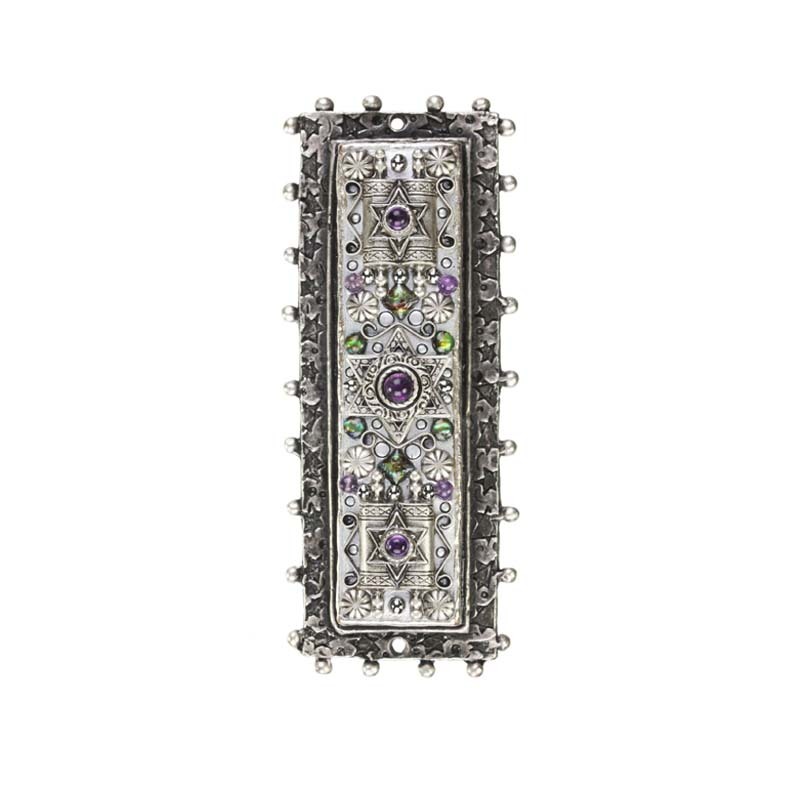 A regal Mezuzah embellished with gorgeous abalone and amethyst stones. 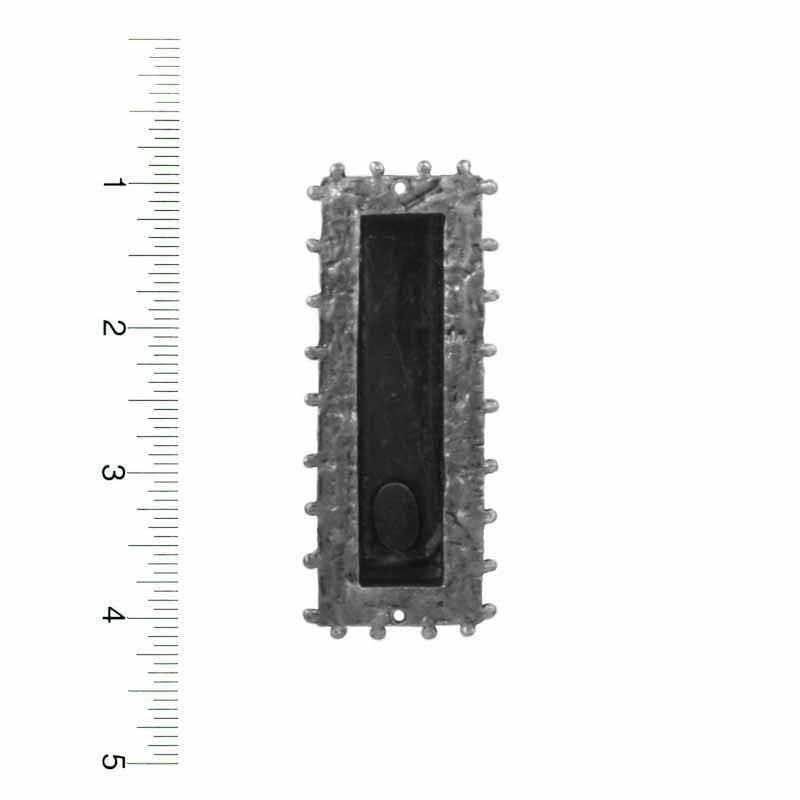 Silver Stars of David and scroll designs give this mezuzah a emphasize the mezuzah’s important role in the Jewish home. A timeless and classic piece.